To enjoy our indoor Splash Island aquatic center, patrons either need to have a membership or purchase a day pass. 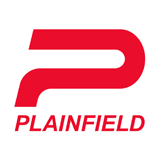 The prices for a day pass depend on whether an individual is a resident of Plainfield, or a non-resident. To find those prices, please click here. Splash Island Indoor Aquatic Center is staffed by award winning, professionally trained lifeguards. Please follow the direction of the lifeguards at all times. Guardians are responsible for supervising their children; lifeguards are responsible for responding to emergencies. Children 8 years old and younger and children who cannot swim must be within arms reach at all times. Swim Safely! Splash Island Indoor Aquatic Center also hosts several seasonal and holiday special events and programs. See our latest program guide for more details, times, fees and availability.